This year’s World Polio Day activities helped the area Rotary clubs to significantly increase local awareness about Rotary’s worldwide fight to end polio and raise enough funding to ensure that thousands of children receive polio immunizations. World Polio Day took place this year on Oct. 23. On Oct. 17, the Fort Fairfield Rotary Club hosted a Purple Pinkie table during its 2015 Cash Draw event. On Oct. 19 and 20, Purple Pinkie tables were set up during the Presque Isle and Mars Hill Rotary Clubs’ respective weekly meetings. On Oct. 21, the Washburn Rotary Club hosted Rodney and Barbara Leach for a polio talk during a regular club meeting. Club members also collected End Polio Now donations at Trailside and Country Farms Market, and by going door to door in the community. On Oct. 22, Presque Isle Rotarians hosted Purple Pinkie stations at Zippel Elementary School, Presque Isle High School and Presque Isle Middle School. UMPI Business Club members also hosted a Purple Pinkie station for employees at MMG Insurance. Also on Oct. 22, community members were able to take part in the Purple Pinkie Project at stations set up at UMPI, Northern Maine Community College, TAMC, and UMPI’s Houlton Higher Education Center. On the evening of Oct. 23, during the Limestone Rotary Club’s 65th Annual Auction, Limestone Rotarians helped to raise awareness about Rotary’s polio eradication efforts. 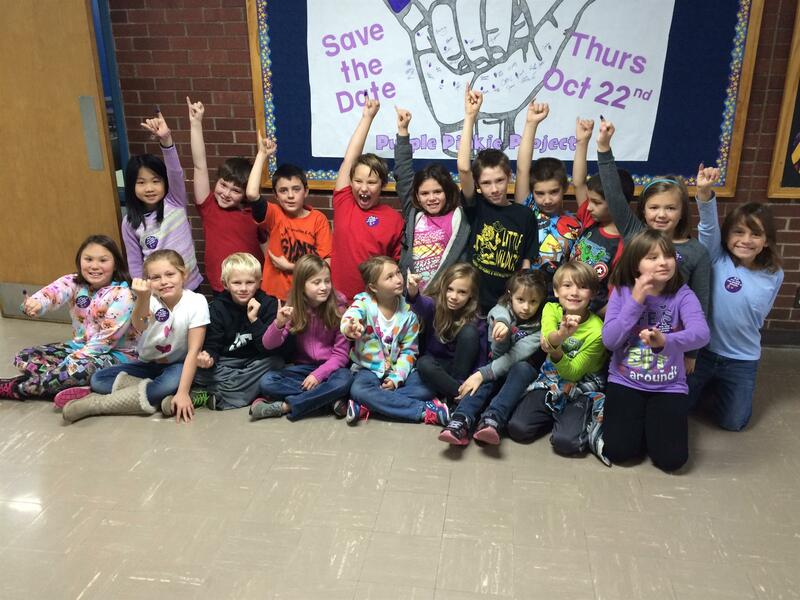 Club members also collaborated with the Maine School of Science and Mathematics to host a Purple Pinkie Project table in early November during school hours. Activities capped-off with one last Purple Pinkie table on Oct. 24-25, hosted by the Caribou Rotary Club during the Caribou Craft Fair. Several other sites, including Loring Job Corps Center, Hampton Inn of Presque Isle, and Emera Maine participated in Purple Pinkie efforts during the week. This year’s event was sponsored by TAMC, NMCC, and MMG Insurance. For even more details about the event, please visit www.umpi.edu/worldpolioday.